Discover benefits of pears for the body, skin and hair! Pears are a low calorie sweet fruit. They are fat free, cholesterol free and sodium free. They are approximately 84% water. They have a high amount of fiber, fructose and glucose. Generally they are elongated, narrow at the stem and wider at the opposite end. Some are apple shaped, though. They can be similar to the apple in size with seeds in their core. They vary in color from green, yellow, brown, red or a combination of these colors. There are over 3,000 pear varieties grown around the world, each having distinctive characteristics, texture and flavor. 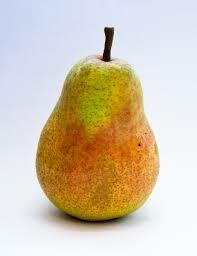 Most common pears include: Anjou, Asian, Bartlett, Bosc, Comice, Concorde and Seckel. Pears are delicious and simple to incorporate into food or juicing recipes. Look for organic pears at your local grocery store or farmers market. They are a hypoallergenic fruit, less likely to produce adverse reactions. Get started eating or juicing pears today. 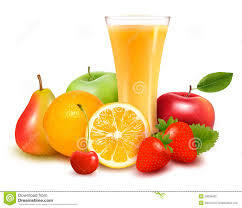 Improve your overall health! ANTI-AGING: Reduce fine lines, wrinkles, age spots. Firm. Tone. Reveal natural glow. Pears are rich in vitamin C and antioxidants which combats damaging free radicals. IMPROVE OVERALL COMPLEXION: Flush out toxins. REDUCE INFLAMMATION: Relieve arthritis and other ailments. BALANCE pH of SKIN: Pears are packed with vitamins and minerals. Reduce skin acids. Vitamin A, B1, B2, C, E, K, folate and niacin. Rich in copper, phosphorus and potassium. HYPOALLERGENIC: Less likely to produce adverse reactions. Pear juice is safe for infants. RICH in FIBER: Fiber slows the release of sugar into blood. Over time, sugar spikes can damage collagen. Collagen is a natural protein component of the skin. It’s naturally produced by the body. It’s the main building block for cells, connective tissues and organs. The production of collagen diminishes with age. Looking for other homemade skin care tips? Find them now! Pears contain a natural sugar alcohol, sorbitol or glucitol. Hair roots and scalp are nourished and moisturized. The vitamin C in pears maintains healthy hair cells and keeps hair strands conditioned. Reduce dry, frizzy, hair. Reduce hair loss.